Walking into a stylishly interior-designed show home tends to inspire. Wowed by the handsome decoration – you’re instantly sold. Or at least inspired to recreate the look in your own property. The reason: the layout has been professionally interior designed. Whether it’s a stripped-back Scandinavian layout, a contemporary look or a modern man cave – everything from the colour of the walls and the material in the seating to the futuristic lamps are there for a reason. A synergy of cool, sophistication and cohesion… this is true interior design. The problem is, when taking ownership of your new property, it’s a blank canvas. Plain white walls, and carpet if the property developer felt generous. Or equally, those inspired by home improvement television series to redesign a living space often come unstuck when the reality of redesigning strikes. Don’t worry, it’s not your fault; the process is a tricky one. In the same way you might see a physiotherapist for a sports injury or a doctor to diagnose a medical condition, you need professional help. Really? I was sceptical too – surely being a expert on men’s style, my skill set could translate to interior design too. 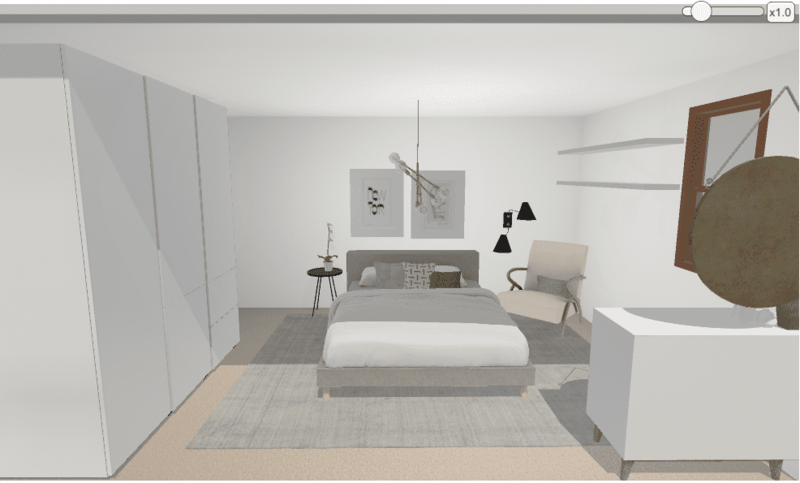 I began the process with my bedroom, researching looks I liked and items of furniture required. But soon realised that marrying the unique measurements of my space with correctly sized furniture, in coherent colour-ways with complementary accessories such as lighting, artwork and flooring was a task beyond my capabilities. And I suspect beyond most peoples. It was time for professional help. Enter decology.com: a new concept for interior design, the company combines advanced technology with the personal touch and expert eye of a seasoned interior designer. An online service beyond merely a curation of “nice things”, they offer a truly personalised service for you and your living space. The process begins with a Lookbook where you can browse a variety of inspired schemes to hone your style for any given room. There are plenty to choose from, and I was pleasantly surprised to discover my preference is in fact for minimal Scandinavian design. Less is more, after all. From here you choose either a Studio (£150 per room) or Studio Plus (£400 per room) package, enter your room dimensions along with some photos and you’re away. 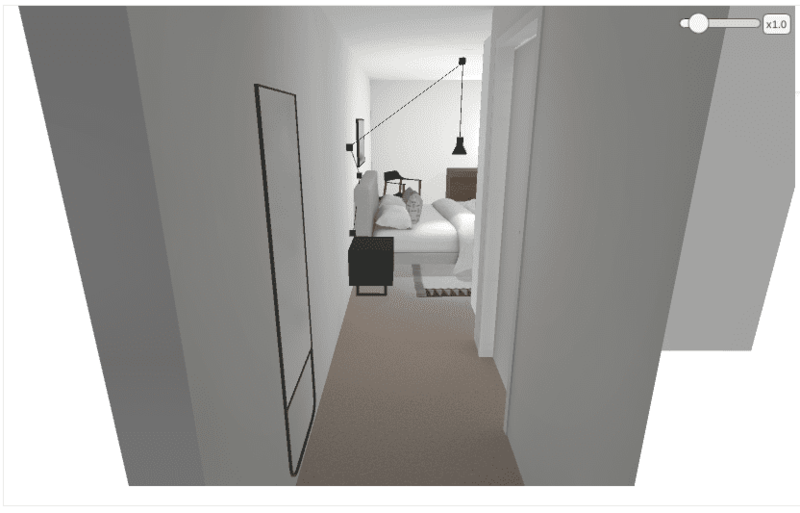 You’ll subsequently receive 2 (or 3 with the Plus option) interactive, 3D modelled looks of your space. The uniqueness of decology.com means you can then tailor your 3D modelled design with curated product recommendations, play around with your space, choose a variety of different options and see it from different angles. 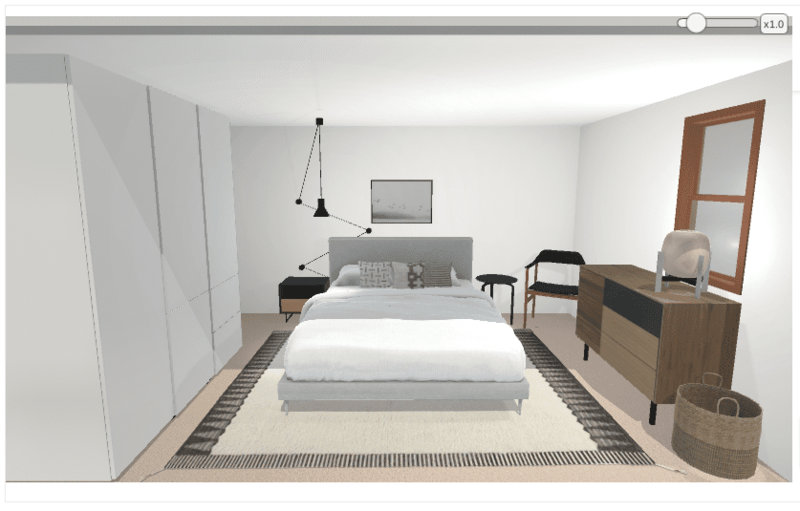 It’s a way to visualise and personalise your professionally-designed scheme in an online model of your actual space. Your room looks completely real. 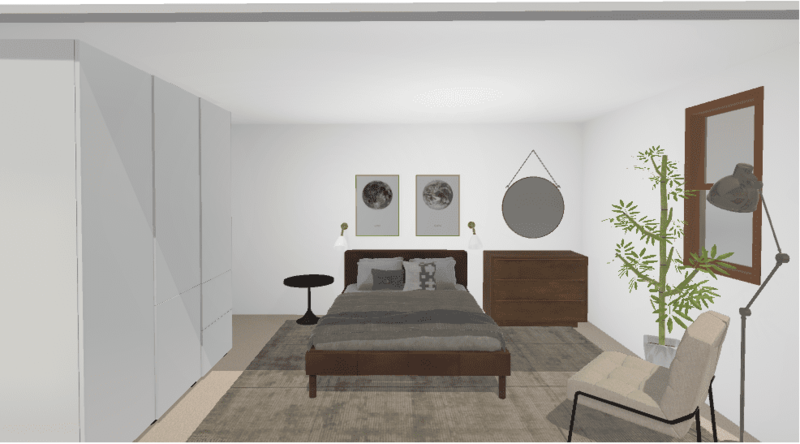 Beyond this, you can receive expert assistance via live chat with a professional interior designer (or a virtual design consultation) and finally, receive a hi-res render of your completed design. It’s really up to you what you do from there. Choose to either take your design and buy similar products from furniture stores of your choice. Or save yourself the trouble and buy the furniture in its entirety from decology.com in one time-saving swoop. Based on my preferences, I received a custom design of my bedroom. And if I was sceptical beforehand (which I was), the design blew me away. 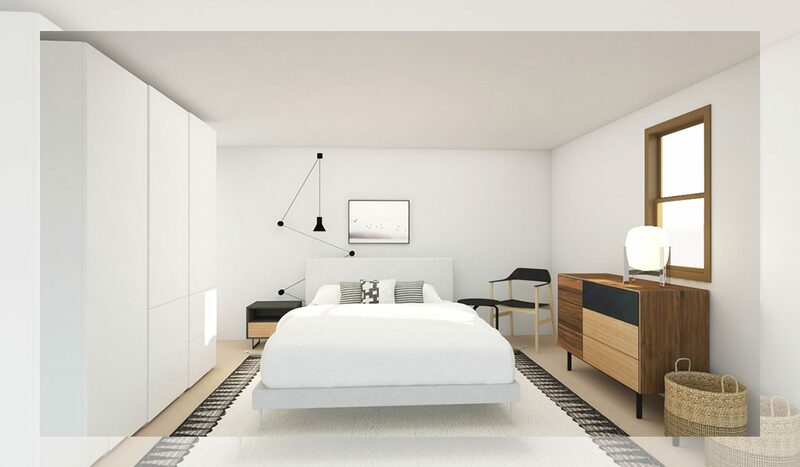 It looked like my room, obviously, as the dimensions were the same but with a ten-fold improvement in simplicity, clean design and modernity. Genuinely impressive. And fulfilling of a need I thought I didn’t have. 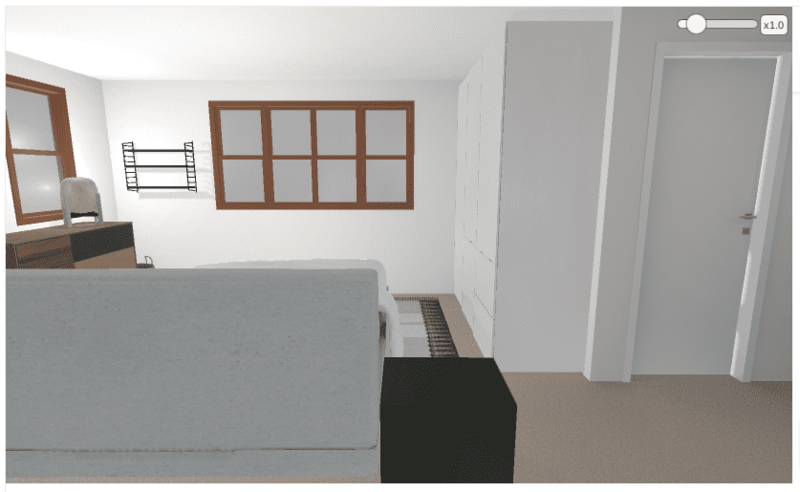 I used the 3D studio editor to easily make just one change, turning the chest of drawers from a back wall to a side wall. Take a look at the hi-res renders above to get a feel for the quality of the software. I also received two other designs (below) as alternative choices. 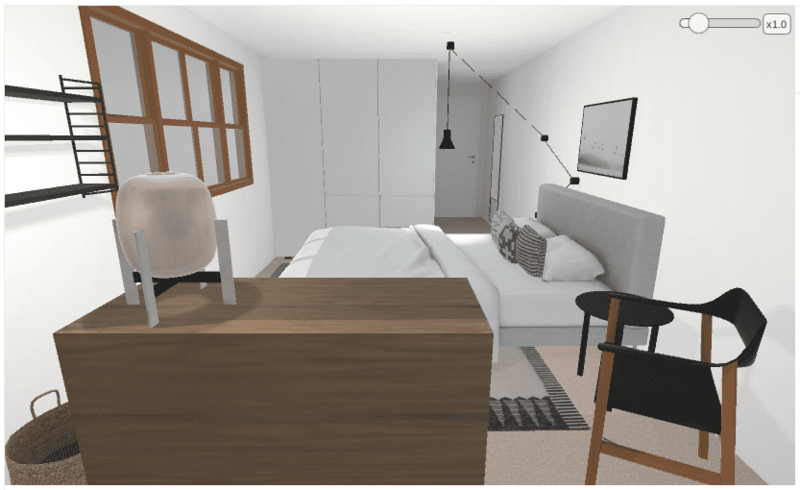 Studio Light option is free, where you can visualise two of Decology’s pre-existing looks in your space. You can then choose an optional virtual consultation for a £75. Studio Plus is a full bespoke service (what I got), which starts from £200 and goes up to £600 depending on the room. Visit decology.com for more information. 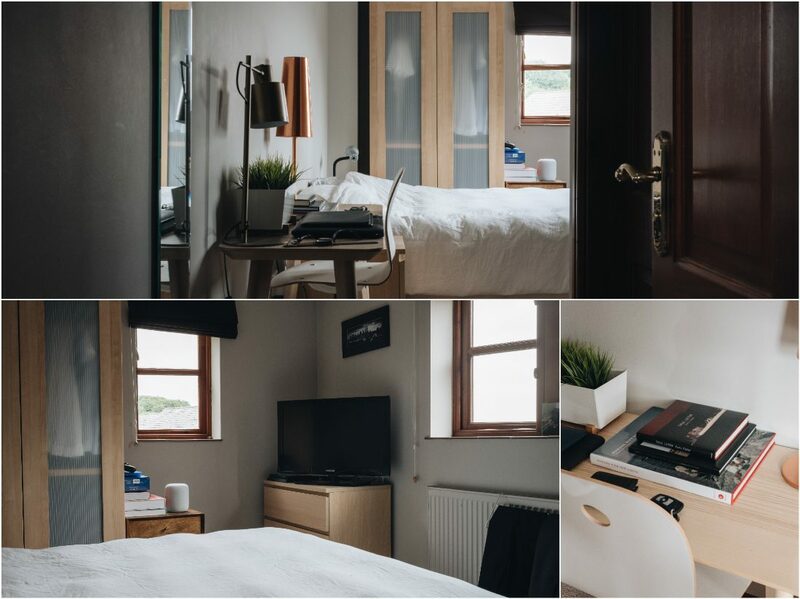 You can also view my bedroom look on the Decology website here, and read my interview with Decology here.